Micafungin may be an effective alternative antifungal in patients receiving chemotherapy for ALL and MDS. 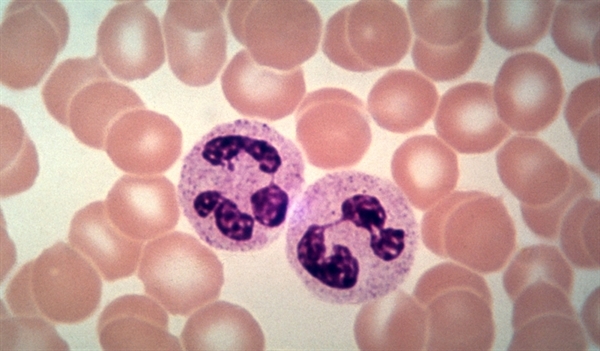 For patients with acute leukemia (AL) and myelodysplastic syndrome (MDS) with chemotherapy-induced neutropenia, micafungin proved to be an alternative prophylactic antifungal to posaconazole, according to data published in the Journal of Infection. In a randomized trial, 113 patients with AL or MDS undergoing chemotherapy were randomly assigned to open-label micafungin 100 mg intravenously daily (n=58) or posaconazole suspension 400 mg orally twice daily (n=55) until neutrophil recovery, up to 28 days. Patients were then followed for 12 weeks. The primary end point of prophylaxis failure occurred in 34.5% of the patients receiving micafungin and 52.7% of those on posaconazole (P =.0118). Therapy failure in the micafungin group was mainly the result of antifungal treatment and treatment failure in the posaconazole group was mostly caused by gastrointestinal intolerance or adverse effects. The incidence of invasive fungal infection and survival was similar in both study arms. Investigators noted that the study may have been biased to micafungin because of the open-label aspect of the design. Physicians may have been more likely to discontinue posaconazole therapy because a known alternative is available so if patients experience even mild nausea or diarrhea during intravenous medication, providers may opt to switch. These findings will be especially relevant because of the novel antileukemia therapies that interact significantly with azoles.